There is something about the upper left photo taken by Geneve Hoffman that is so rustic and cozy feeling. I thought it might be nice to translate that into an inspiration board for a wedding. Cozy fires, roasted marshmallows, hot chocolate and some glistening snow add such a romantic feeling to an otherwise sparse color palette. 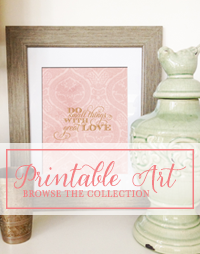 I could see this just being a palette of gray, taupe and cream with pops of chocolate brown to add some warmth. Luxe warm faux fur throws for guests would be so nice to add (with obviously plenty of outdoor heaters)! 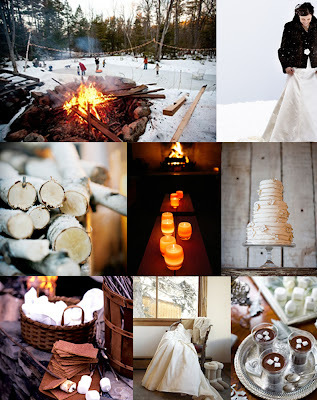 I always wanted a winter wedding, and this inspiration board is beautiful for ideas. 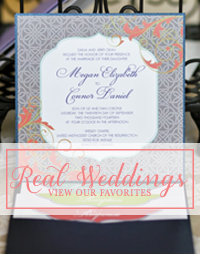 What wedding favors and decorations would you use?